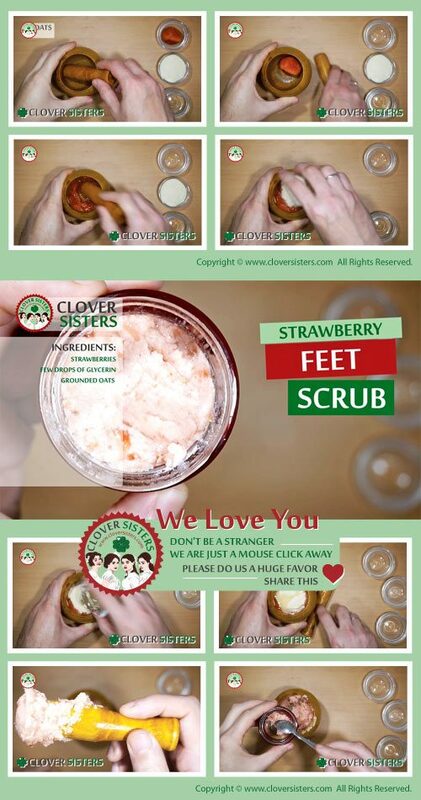 Foot scrub is easy to make and can help to recover softness of your feet. Smash few strawberries, add few drops of glycerin and grounded oats to make a coarse mixture. First, soak feet in warm water to soften up a bit all the rough skin and then use this strawberry paste to scrub feet for 10 minutes. Rinse with cold water.